220 pages | 21 B/W Illus. Today's graduates should be grounded in the basics of personal finance and possess the skills and knowledge necessary to make informed decisions and take responsibility for their own financial well-being. Faced with an array of complex financial services and sophisticated products, many graduates lack the knowledge and skills to make rational, informed decisions on the use of their money and planning for future events, such as retirement. 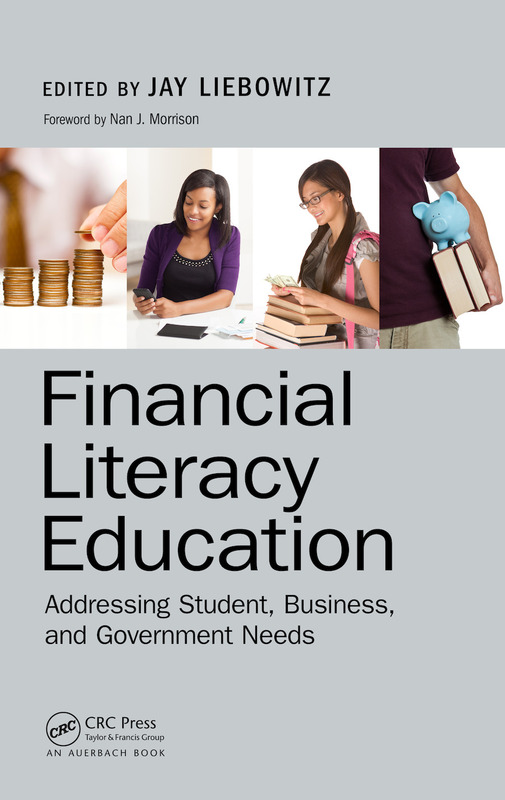 This book shows what you can do to improve financial literacy awareness and education. It covers the use of interactive games and tutorials, peer-to-peer mentoring, and financial literacy contests in addition to more formal education. It gives you a sample of approaches and experiences in the financial literacy arena. Divided into three parts, the book covers financial literacy education for grades K–12, college, and post-college. "Financial Literacy Education, the most recent edited volume from Dr. Jay Liebowitz, contains contributions from thought leaders across the financial literacy spectrum. This book is a road map for educators, business leaders, and policy makers on how and why to address America’s failure to educate our students in the basics of financial literacy. It should be required reading for anyone who cares about the growth and stability of our nation’s economic future." "I am a firm believer in educating students in terms of financial literacy and associated best practices. This book is a great step in this direction!" Special Report: GAO Report on "Financial Literacy: Overview of Federal Activities, Programs, and Challenges"